August 31st sees the release of YARDIE, the directorial debut from Idris Elba (OBE), one of Britain’s greatest actors. Produced and distributed by STUDIOCANAL, and based on the 1992 book by Victor Headley, the film is released nationwide in cinemas across the UK. Set in 1970’s Kingston, Jamaica and 1980’s Hackney, London – Island Records UK will release the Original Soundtrack, spanning music across two decades including reggae legends Dennis Brown, Yellow Man and Black Uhuru, plus a special bonus track by Skip Marley, a cover of the Bob Marley classic ‘Johnny Was’. Released on CD, digital and vinyl on 24th August, the album is available for pre-order now. Skip Marley explains: “Johnny Was is a true classic, not just in my grandfather's catalogue but in reggae music overall. The story Bob Marley told decades ago was a reflection of the times. Now here we are years later, and it still resonates today as truth for my generation. It's an honour to be a part of the YARDIE project in such a powerful way”. Speaking about his decision to direct the film Idris Elba says “YARDIE is a story about a young man dealing with the trauma of losing a sibling at the tender age of 10. Victor Headley’s book was one of the few books I read as teenager, I’m not a big reader, so this was a big deal to me at the time and the story stuck to my ribs for many years”. 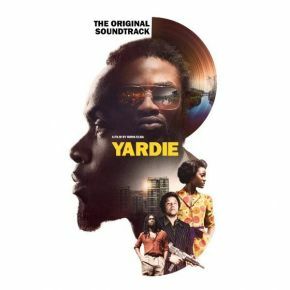 YARDIE centres on the life of a young Jamaican man named D (Aml Ameen), who has never fully recovered from the murder, committed during his childhood, of his older brother Jerry Dread (Everaldo Creary). D grows up under the wing of a Kingston Don and music producer named King Fox (Sheldon Shepherd). Fox dispatches him to London, where he reconnects with his childhood sweetheart, Yvonne (Shantol Jackson), and his daughter who he's not seen since she was a baby. He also hooks up with a soundclash crew, called High Noon. But before he can be convinced to abandon his life of crime and follow “the righteous path”, he encounters the man who shot his brother 10 years earlier, and embarks on a bloody, explosive quest for retribution — a quest which brings him into conflict with vicious London gangster Rico (Stephen Graham). Published in 1992, Victor Headley’s YARDIE proved an instant cult hit. Put out by a two-man independent publishing operation, X Press, it was sold at clothing stores and outside nightclubs rather than in traditional bookshops, and through strong word-of-mouth sold 30,000 copies.